Value Priced Organic Textile Products from Sleep and Beyond. Sheet sets and duvet covers are make with 300 thread count cotton, pure and great for your skin. Certified Organic Cotton Sateen. Organic cotton yarns are also tested according to OKO TEX 100 & GOTS standard to ensure the organic fabric is safe for infants and free of any VOC's, arsenic and carcinogens. Sleep and Beyond manufactures 100% organic cotton products that rank among the top of eco-friendliness. Their products are packaged with the environment in mind. 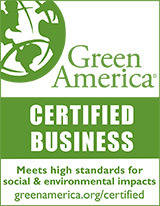 Our mission is to eliminate chemicals and eco-damaging processes. Sleep & Beyonds 300TC 100% Organic Cotton Sheets. Super soft sateen is what so many have come to appreciate and value when it comes to organic cotton linens. The Sleep and Beyond 3000TC linens will amaze you with their soft hand and incredible value. Chemical free - organic bedding!